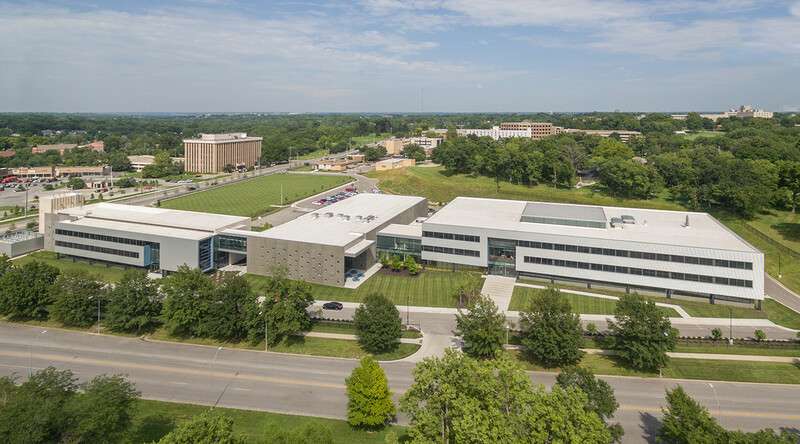 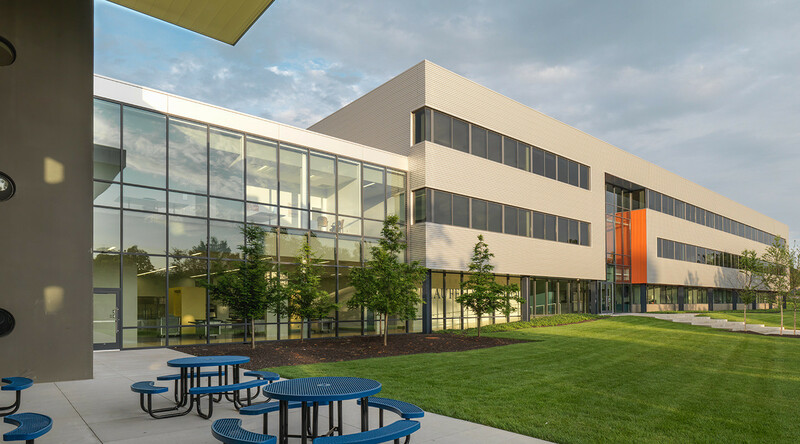 Designers of the new Ewing Marion Kauffman School selected corrugated metal panels to provide a strong texture to contrast with the facade of an existing building that was renovated as part of the project. 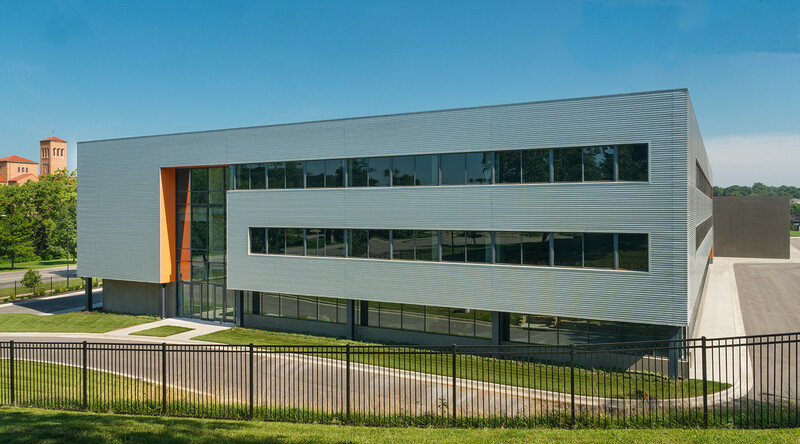 The project team took advantage of the many options available with Concept Series and IW Series rainscreen panels from CENTRIA. 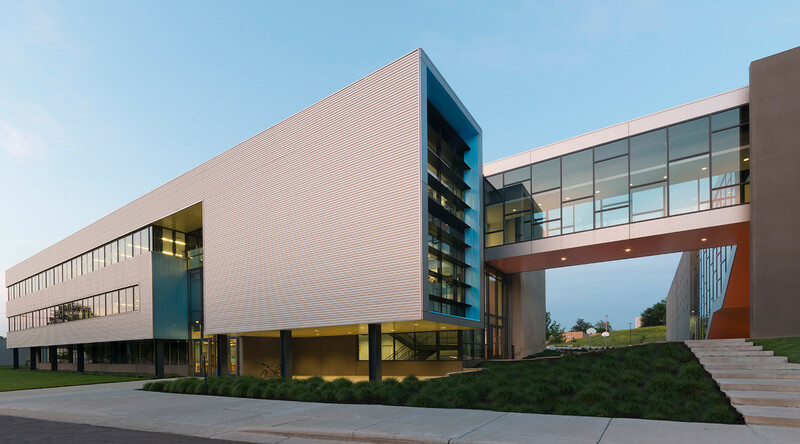 With concealed fasteners and a common-lock joint, Concept Series panels can be mixed for custom-profiled wall relief.